Yea!!! Another Vintage Vogue card. 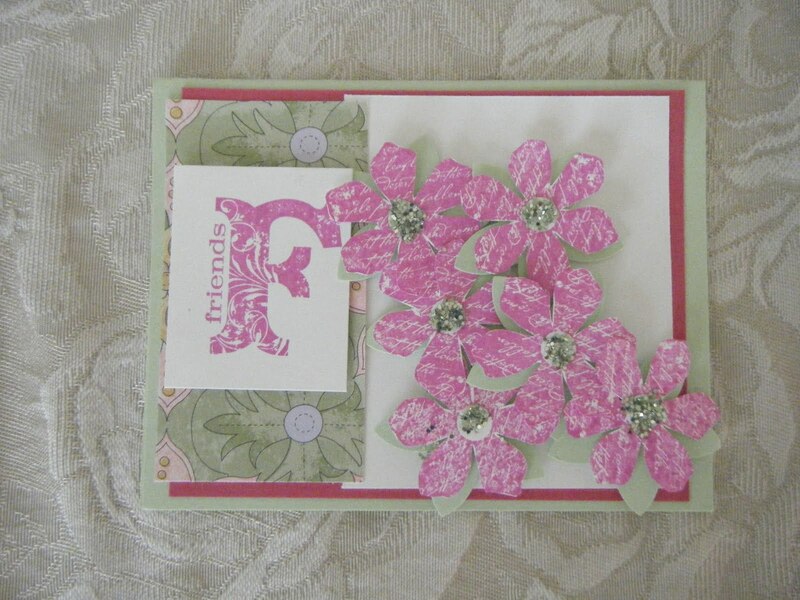 I kinda/sorta challenged Irene to make this card for me. I gave her all the ingredients to use and she was done in about an hour. She didn't really ponder it to much. She just got to work. I think she enjoyed it and I think it turned out lovely. The retired chunky glitter was her own personal touch. I was so impressed with the end result. I guess the recipe should follow next. Here it goes. I love punches and I love the paper snips. A must have in my paper crafting. Have a blessed day. Hasta manana. Anyone know how to use the tilde? Please let me know in your comment. This is one of my favorite sets, so I'm always looking for ideas on using it. This card is beautiful! 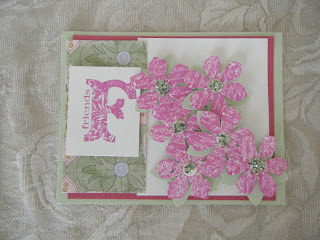 Irene did a wonderful job with this card! I love the pink passion flowers.